The Cavaliers are one week away from kicking off the 2015-2016 regular season. There is excitement in the air all around Northeast Ohio for basketball and though it is great to be excited about the start of the season the Cavs have far bigger goals and expectations than playing well from October to April. All of the returning players from last season and the new additions have one thing on their minds; winning an NBA championship. That is why all season long, no matter how rocky the road looks or how rough the ship is sailing, from here on out everyone rooting for this team to reach that goal needs to keep focused on the bigger picture rather than over-magnify individual regular season games or even extended stretches of winning streaks, losing streaks, or rough patches. 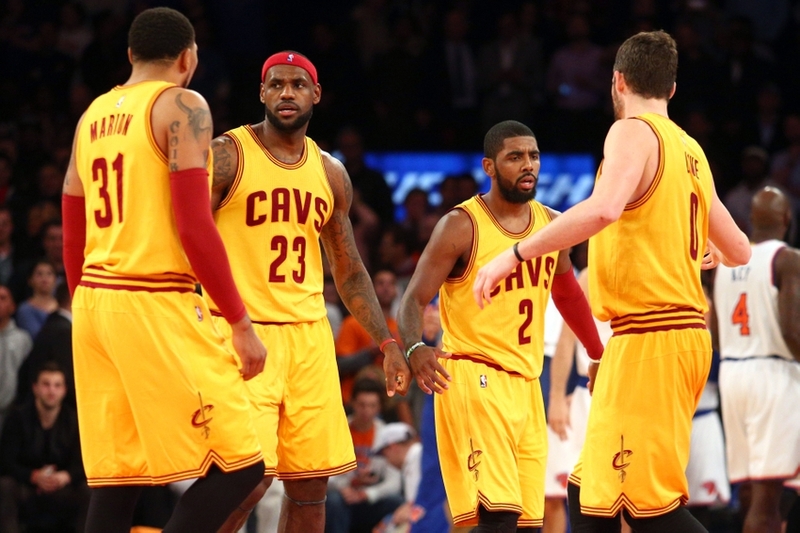 It is obvious that the biggest obstacle for the Cavs to overcome this season is injuries. Power forward Kevin Love appears to be in good shape to start the season, LeBron James is well-rested after another year of mileage added to his body, and a healthy Anderson Varejao will essentially be the same thing as adding a solid free-agent center/power forward. The bad news, however is that the Cavs enter the season banged up as usual. Point guard Kyrie Irving is weeks, if not months away from returning; guard Iman Shumpert is reportedly out for three months with a wrist injury; and the aforementioned Varejao and Love both have troubling injury histories of their own to take into account. The one player that we may take for granted when it comes to health is LeBron. James had never missed more than seven games in a season until the 2014-2015 season, in which he sat out 13 times, the majority of which came during a two-week shutdown for the King to “refresh” midseason. LeBron took some time off between December 28th and January 13th last season and the results were incredible. After looking a little sluggish and not quite himself for the first three months of the season, James played the rest of the season at an MVP level and led his team to be one of the best in the NBA the rest of the way. James enters the 2015-2016 campaign at the age of 30, but has played more minutes than all but eight players in the history of the game. LeBron sits at ninth place all-time having logged 44,330 minutes played in a 12-year professional career including time between the regular season and playoffs combined.